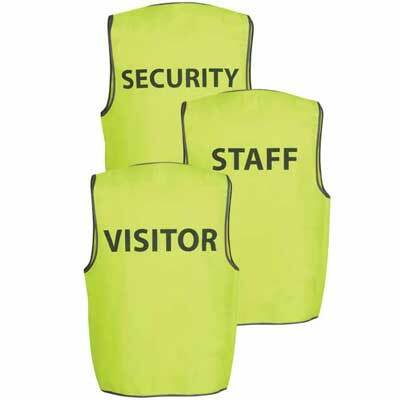 Make your vest stand out with a company name or logo with only 2 easy steps. STEP 1: Choose location, type and quantity of the print you would like. STEP 2: Choose the type, colour, size and quantity of the vest you would like. It is so easy! Scroll below to STEP 1. Pricing includes a setup fee for each design and a printing price per vest. 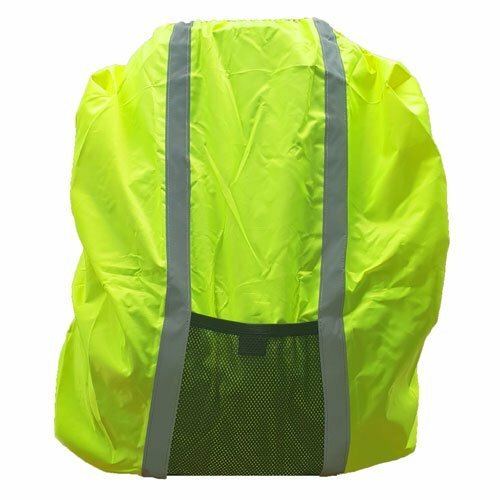 The design on the front of the vest is generally smaller than the back, so this is reflected in the price. NB/ The setup cost for the preset designs is only $10. How to calculate printing costs: Multiply the number of vests required by the "price per print" then add the setup cost. e.g. If you want 10 black vinyl prints on the back of your vest then your price is 10 x $5.95 plus $30 setup fee = $89.50. NB/ This price is for the printing only and does not include the vest. Coloured Screen Prints have a minimum order of 4.